Down payments on a home loan can range from 2.25% to 20% of the loan total. This all depends on the type of loan you take and then lender that you choose, so take your time! First take a closer look at your monthly income vs bills and figure out what you can afford to put back each month for your down payment. A good idea is to automatically pull this money from your paycheck or bank account into a seperate savings account making it easier to put money aside. Your credit score is crucial for finding a home loan with the best interest rate. Before looking for a lender you should first obtain your credit report. While getting this report will not improve your credit, you can use it to check out your credit profile. 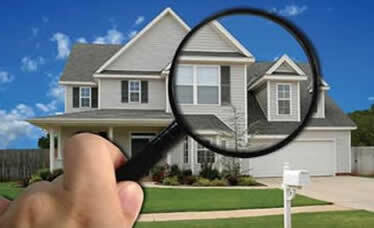 Here you can see what the lender will see when you apply for your home loan. If your credit report is less then ideal then you can use this report as a tool to increase your credit score. After applying for your loan a lender may decide to pull your credit report a second time before finalizing the loan, be mindful of your credit standing during this time and make sure not to do anything that could hurt your credit before the final report has been run. There are many different ways of recieveing a credit report, here are a few to get you started. During the loan process you will be asked to provide financial documents such as your last two pay stubs, most recent W2, current brokerage & bank statements, and your last two years of tax return papers. Depending on the broker the may ask you to provide additional information / records, but at minimum you should have these documents ready to present to your lender. With this tool you can get a better idea of what you can actually afford to purchase based on your current financials, this tool will show you what to expect for a monthly morgage payment considering variables like the interest rate, down payment, & home price. Follow the link below for a few useful mortgage calculators to get you started provided by Discover. It is fairly easy to get pre-qualified, most of the time you will just need to provide a few bits of financial information about yourself like the amount of savings, investments, & current income. Getting pre-qualified will give you a better idea of how much you can afford to borrow along with the price range of homes you should be looking at. Get pre-qualified with Discover by following the link below.